1. help your children to spend more time on their physical, social, intellectual, and emotional decelopment , not playing video games all day: Let your child be a small cameraman, Record with the happy time of playing and growth with their friends. Oberve and record the growth natural life, to cultivate children's ability to observe. 2. making learning vedio notes easily and comprehensively: record the difficult contents encountered in the daily classes and assure an accurate review at home. Record the tutorial classes or traning classes, makes expensive tutorial more worthwhile. 3. giving you a better understanding of child's world, more intimatecommunication: Watch the video recorded of your children, understand the children's inner world, adults will no longer do not understand what the children like, what they concern about, communicate, more effectively with children, solve the children's sutism problem, let the children growth health. 4. The most real companionship video: Record every little move during growth, record every journey, every anniversary,every moment with accompany, after growing up to review their chilhood records. There are father, mother and relatives, the most real companionship video, leaving behind the good memories of growing up. 5. 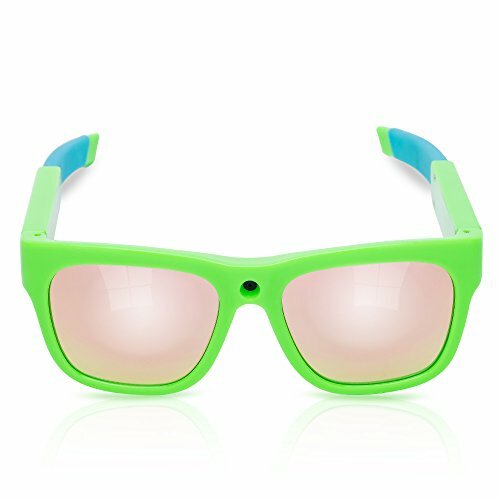 REMOVABLE LENSES SUNGLASSES: perfect for indoor and outdoor activities, such as daily classes, party, handwork, family gathering,cycling, hiking, climbing, fishing, hunting, traveling,boating,etc. If you have any questions about this product by XIAN BAO, contact us by completing and submitting the form below. If you are looking for a specif part number, please include it with your message.